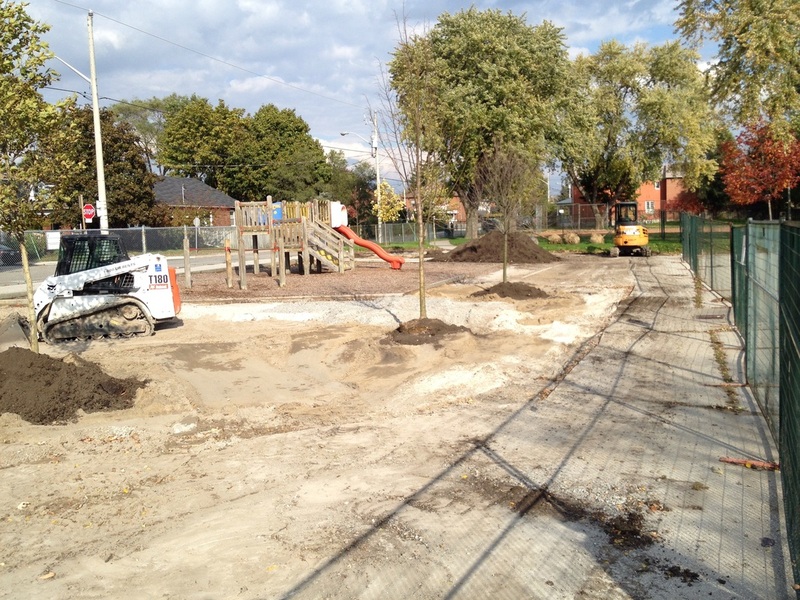 Our vision is to develop a natural interactive learning space for students and our community to contribute to the improvement in the air quality of the immediate area and provide a teaching space and example of community-based actions. 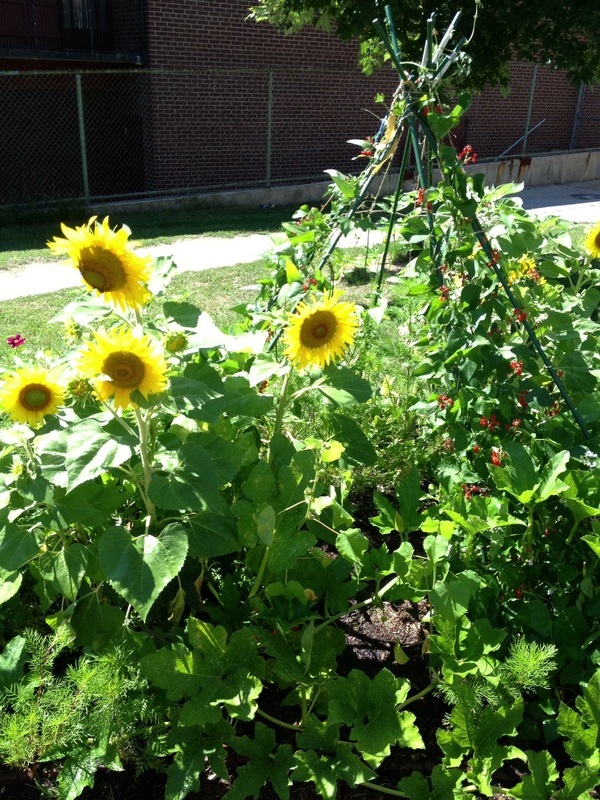 Our efforts will illustrate how a proactive response to climate change can improve air quality, reduce greenhouse gases, promote awareness of native species and organic gardening and foster environmental stewardship. 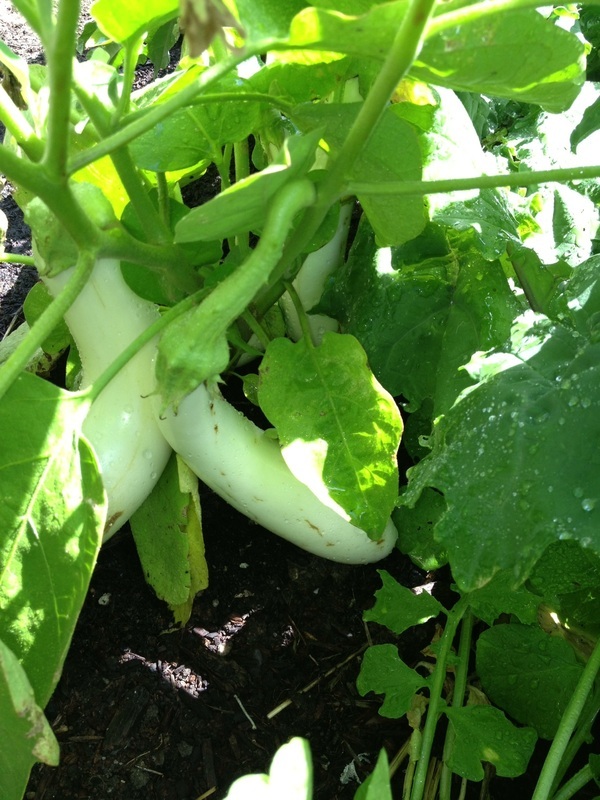 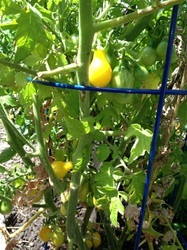 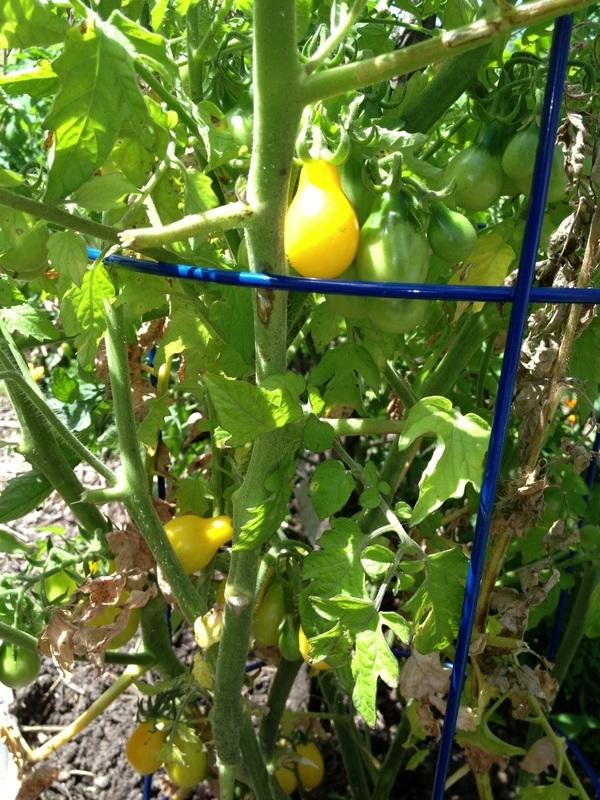 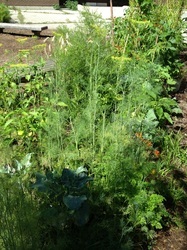 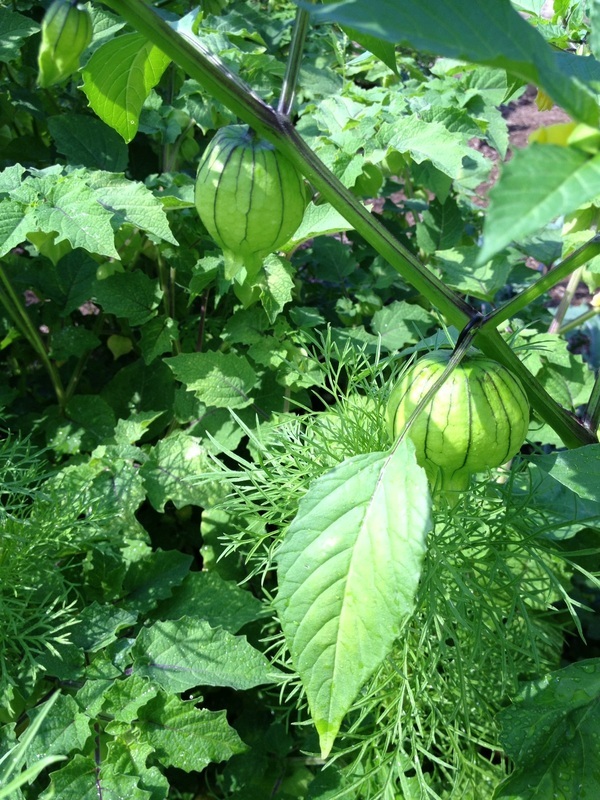 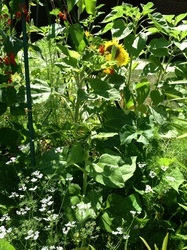 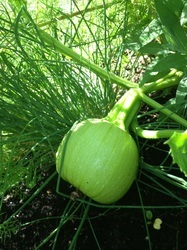 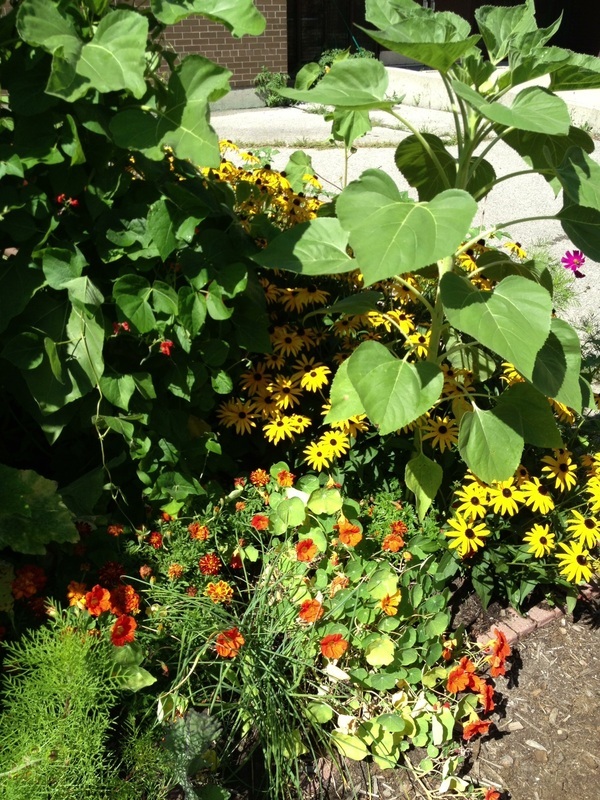 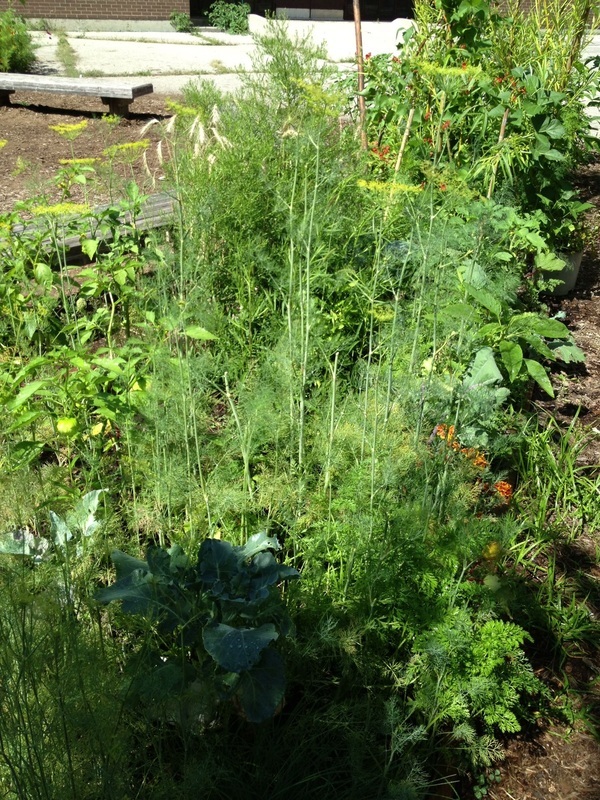 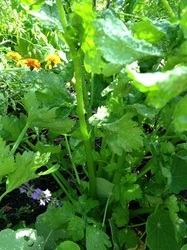 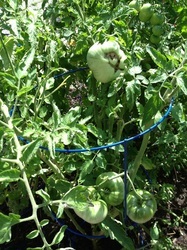 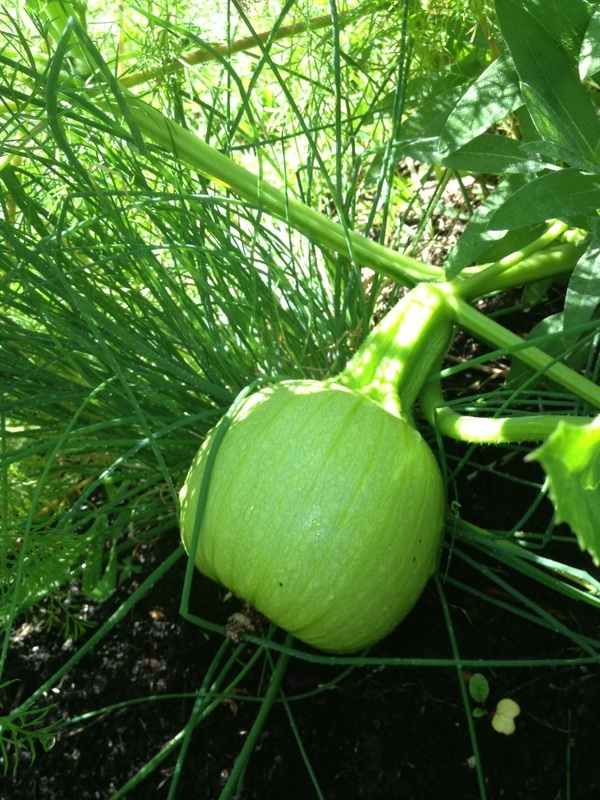 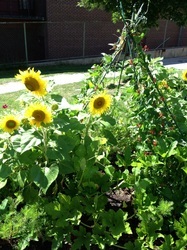 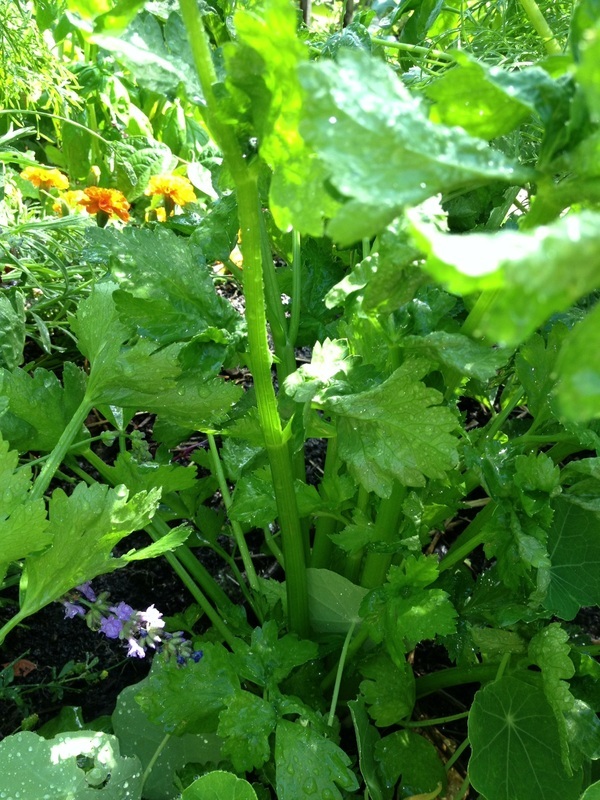 The garden is planted, the shrubs and trees are growing and we're seeing the bounty of green on our school yard! Construction continued well into late Fall...Even BIGGER news is our newest partnership! 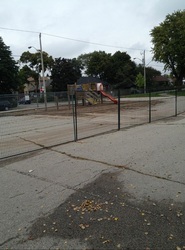 The Garfield Weston Foundation has approved becoming partners with our school (see press release). 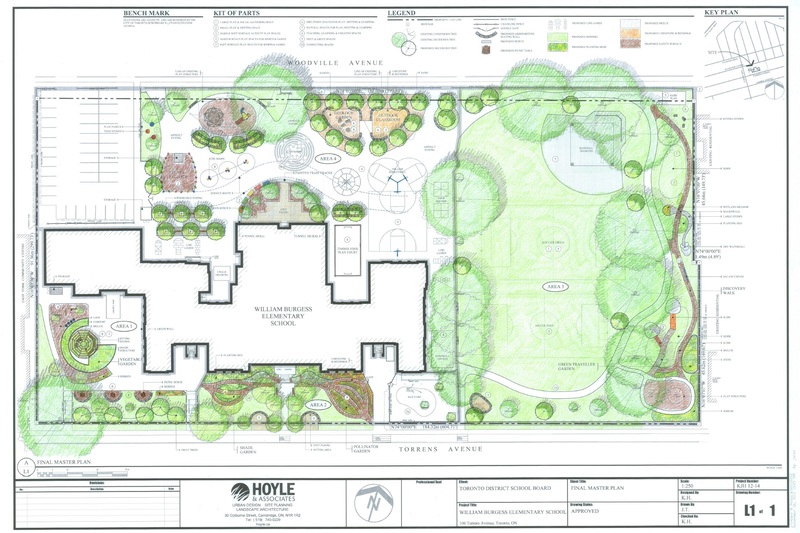 Their support of $295,000 will be instrumental in completing the naturalization and revitalization of our school grounds. Watch for details of this new exciting partnership. 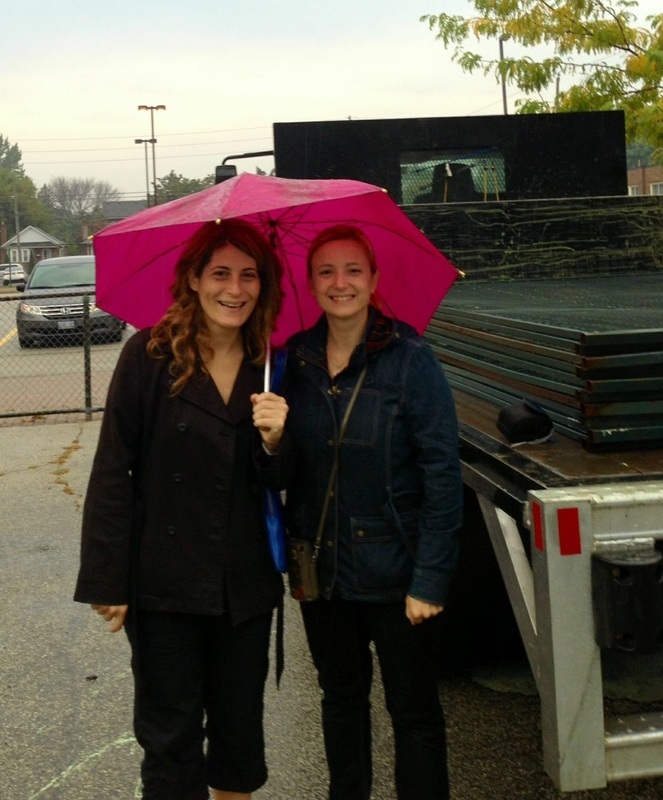 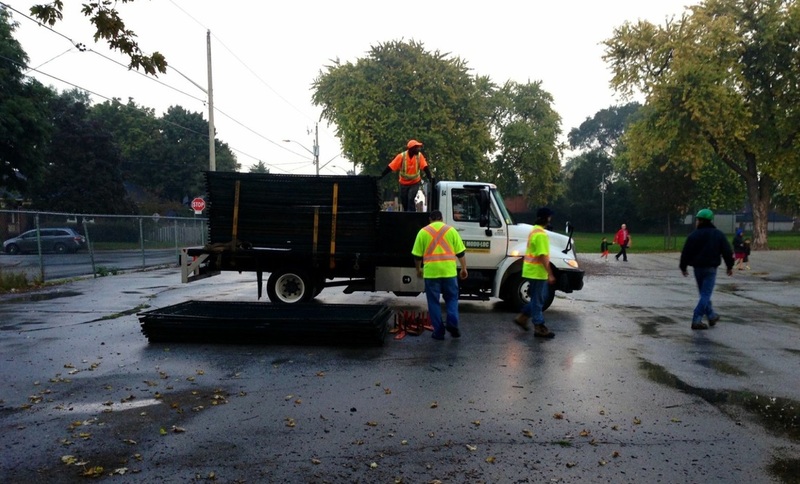 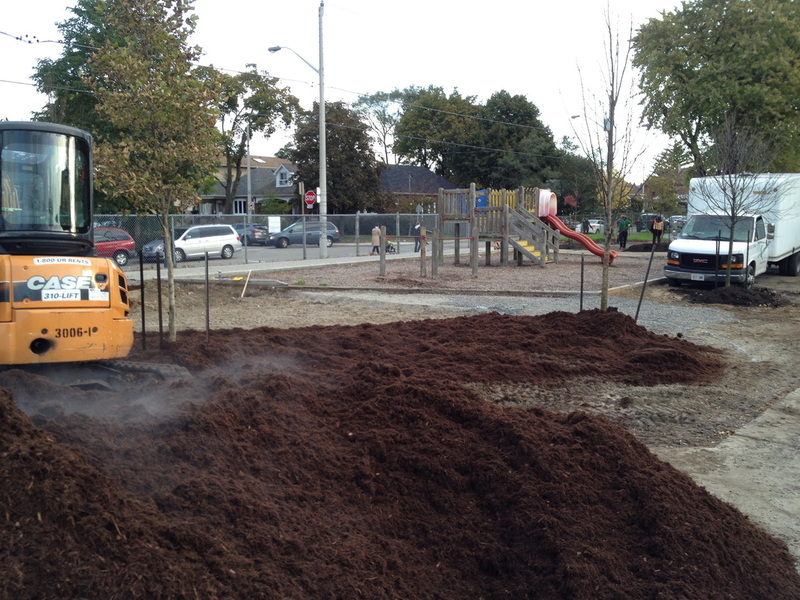 October 25, 2013 - The mulch arrives! 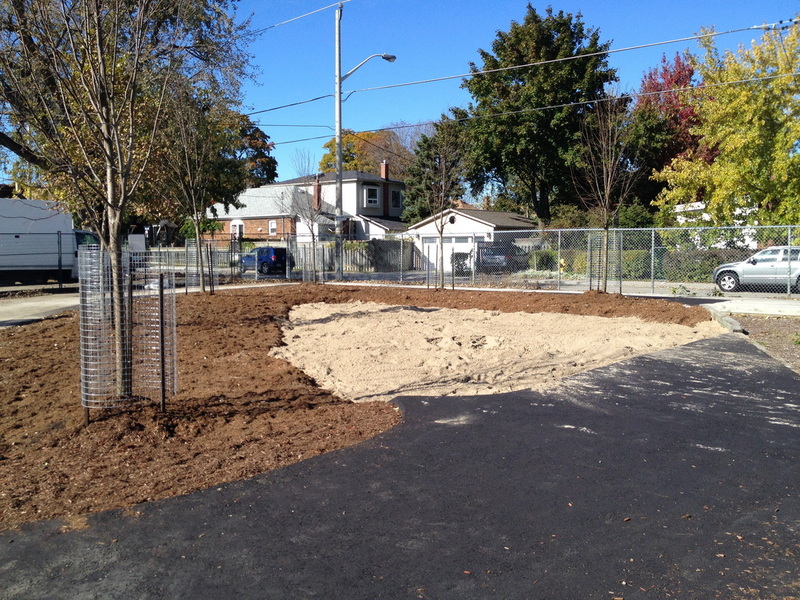 October 28, 2013 - Sand Pit is ready to go! 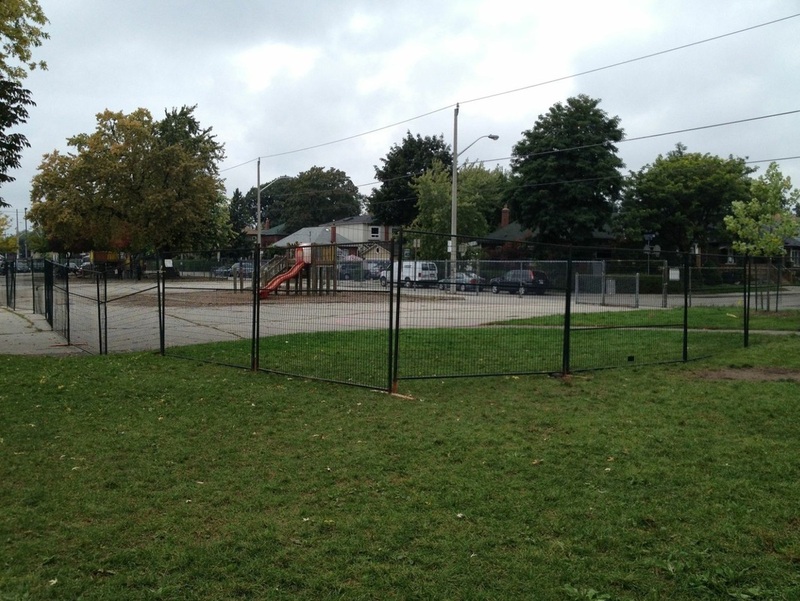 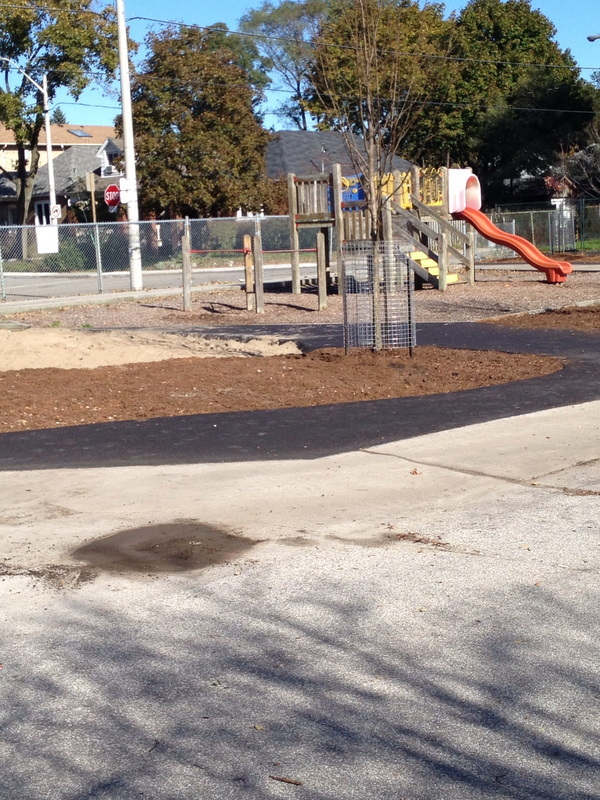 October 28, 2013 - Mulch complete and fences taken down. 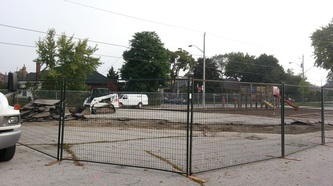 We're starting a MAJOR part of the construction on Monday! 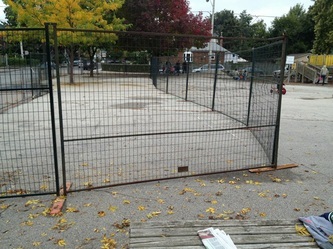 On Monday, protective fences will be put up and constructions workers and vehicles will be on the school grounds for the nex three to four weeks. 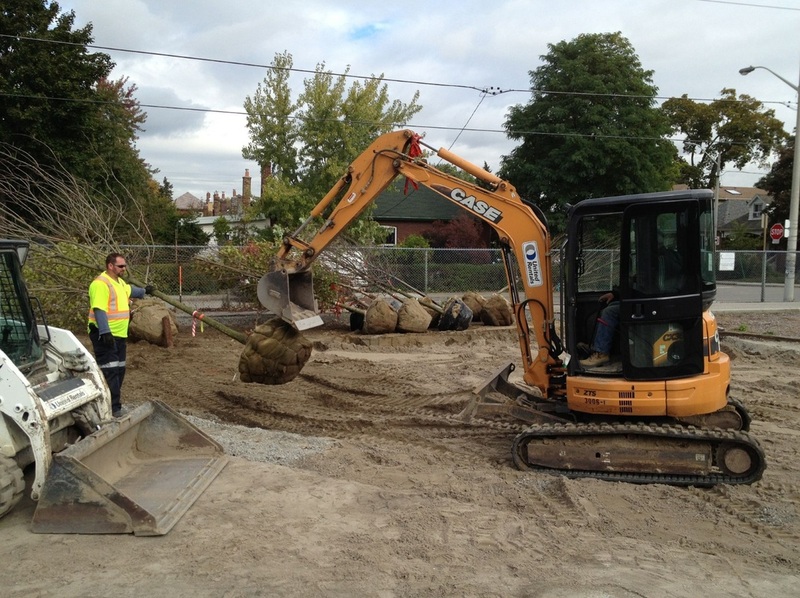 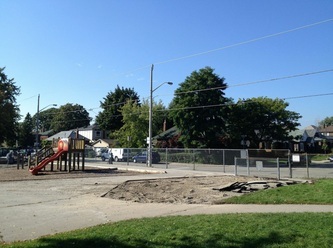 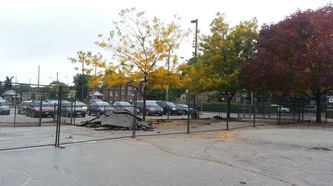 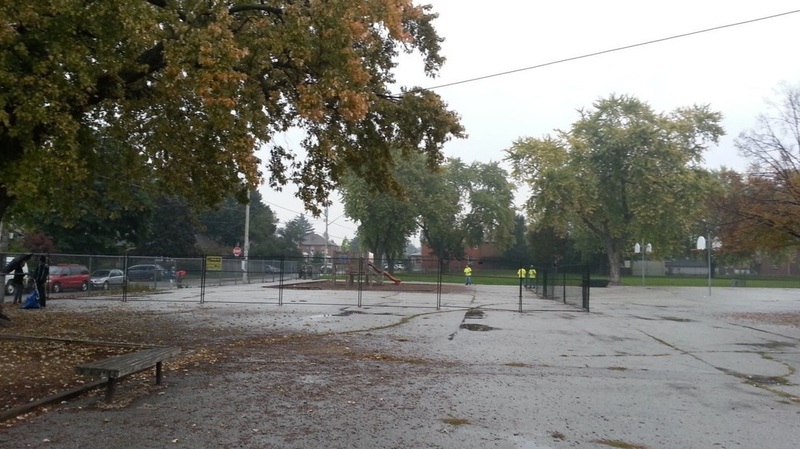 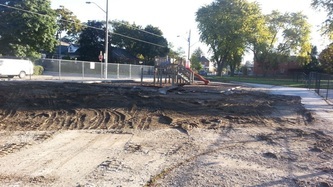 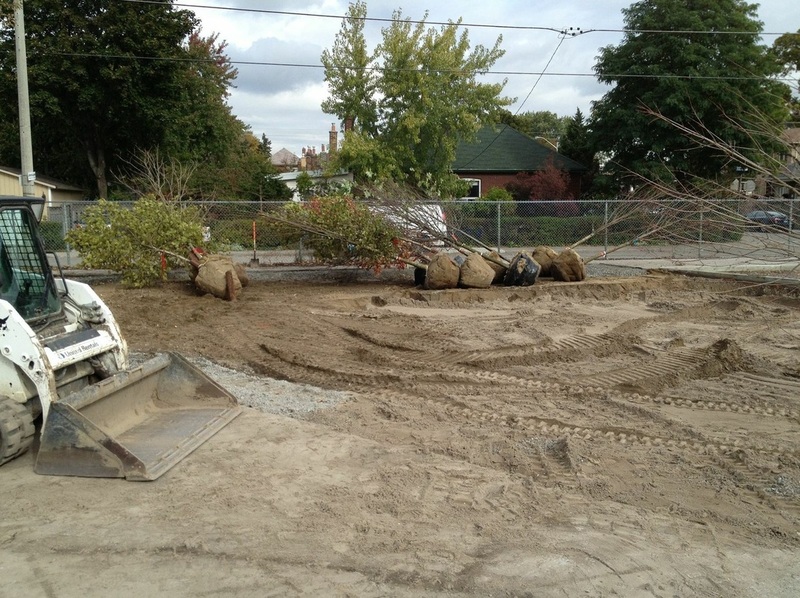 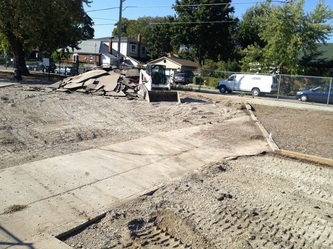 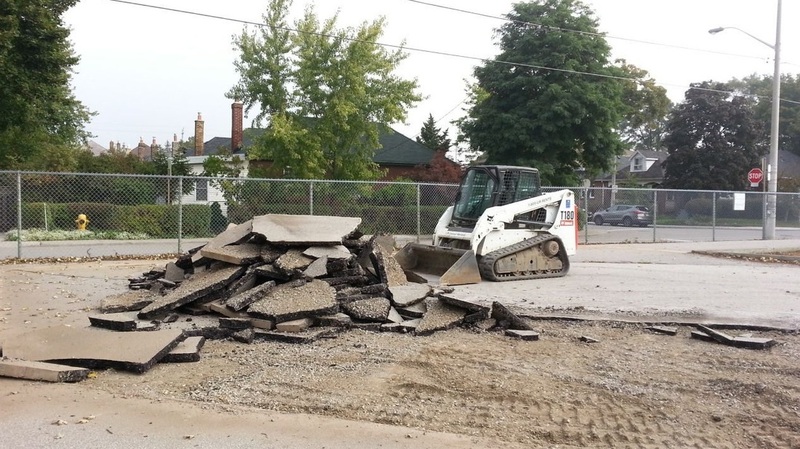 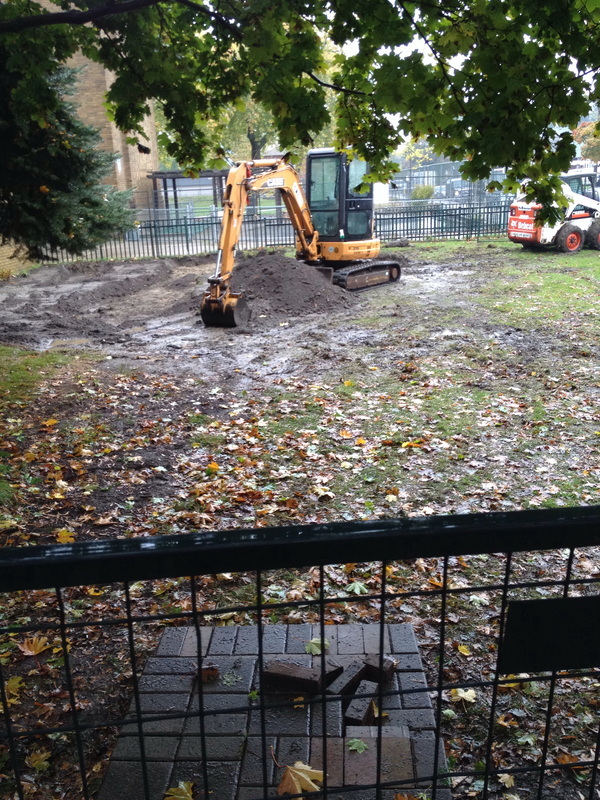 They will be pulling up a significant amount of the asphalt in the back playground around the grade 2/3 climber (replaced with a mini forest, engulfed by mulch paths and a Sand and Geology Garden). 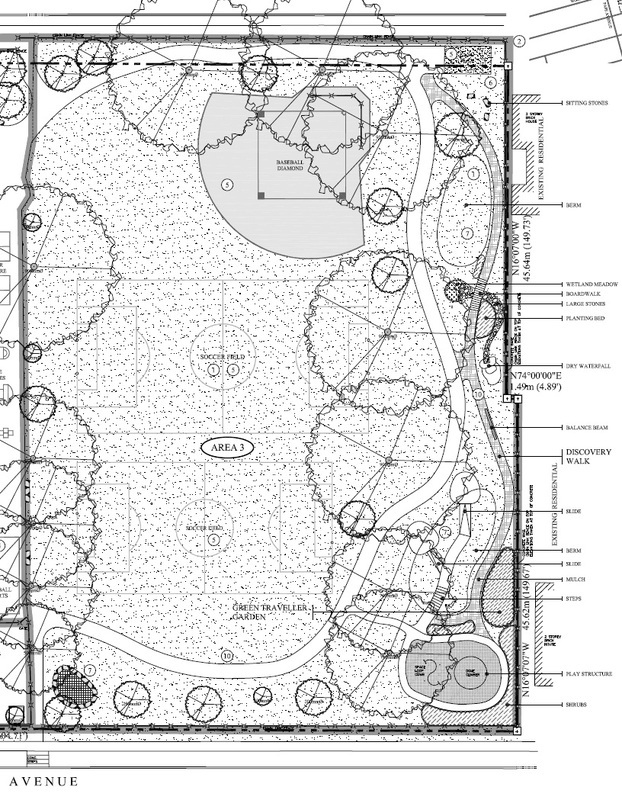 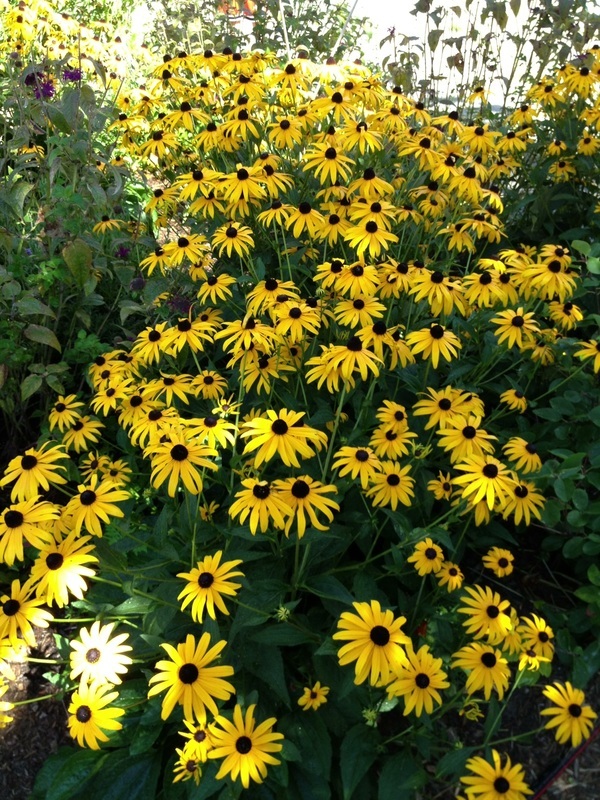 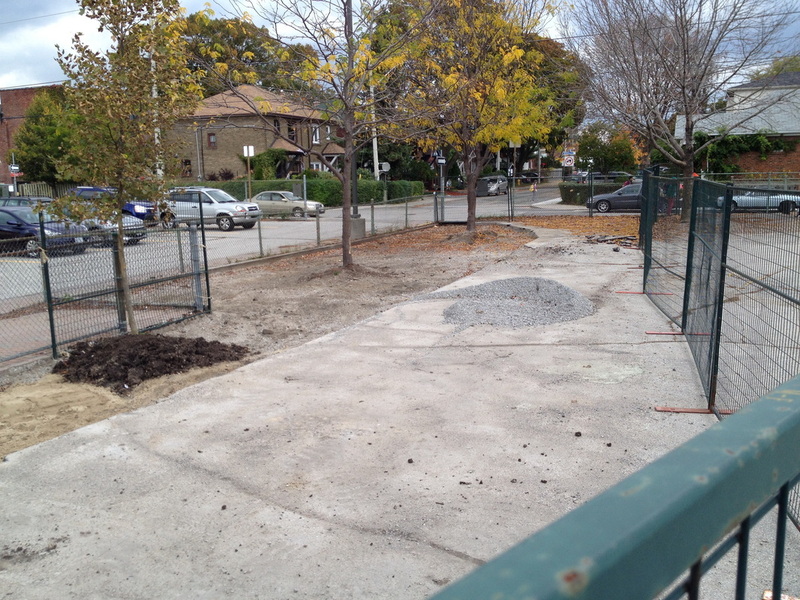 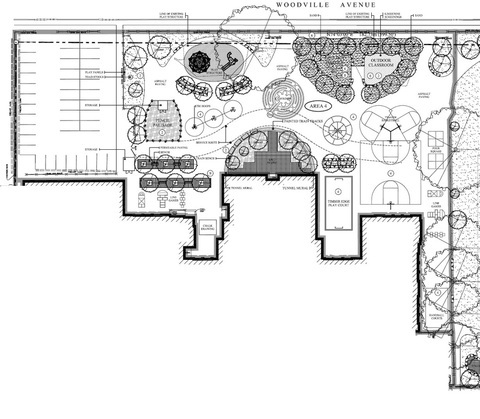 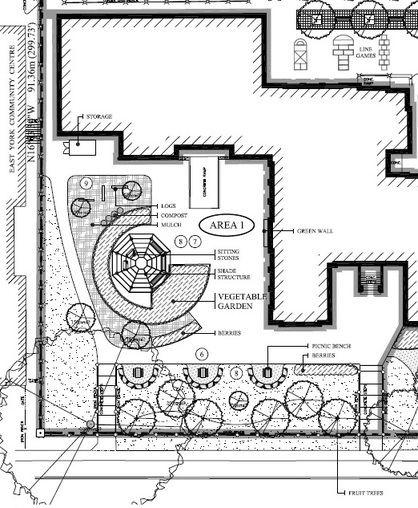 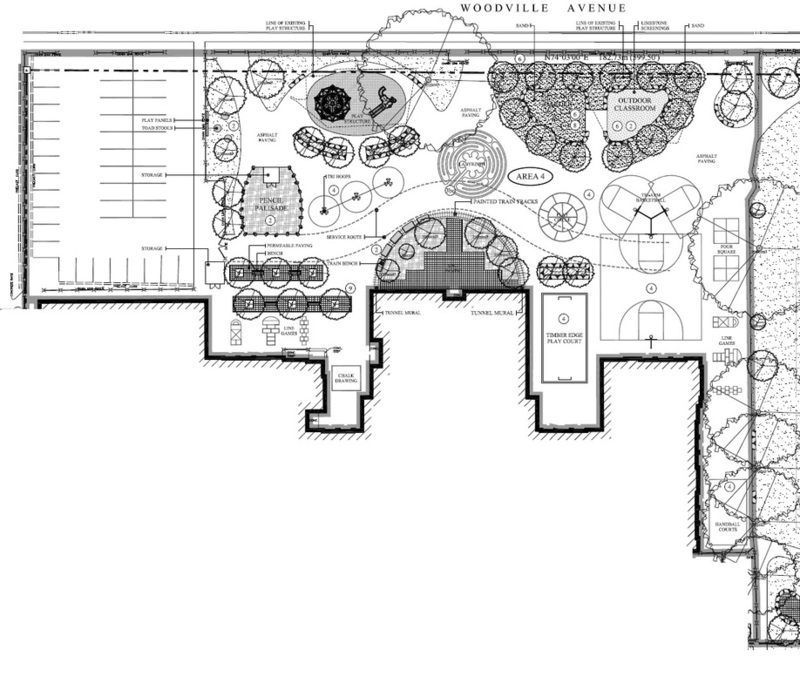 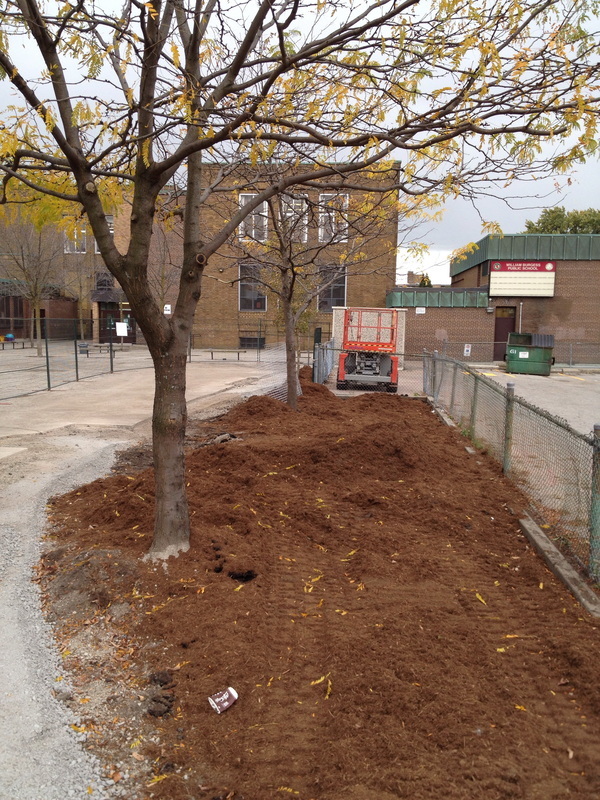 At the front school entrance, a shade and a pollinator garden will be created with walking paths throughout. 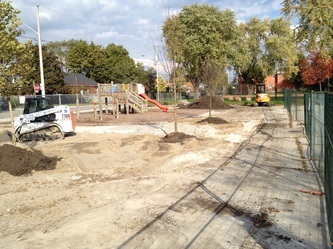 Near our vegetable garden at the front of the school, another four fruit trees, a large garden shed, a trllis for shade and the planting of more berry bushes will be completed. 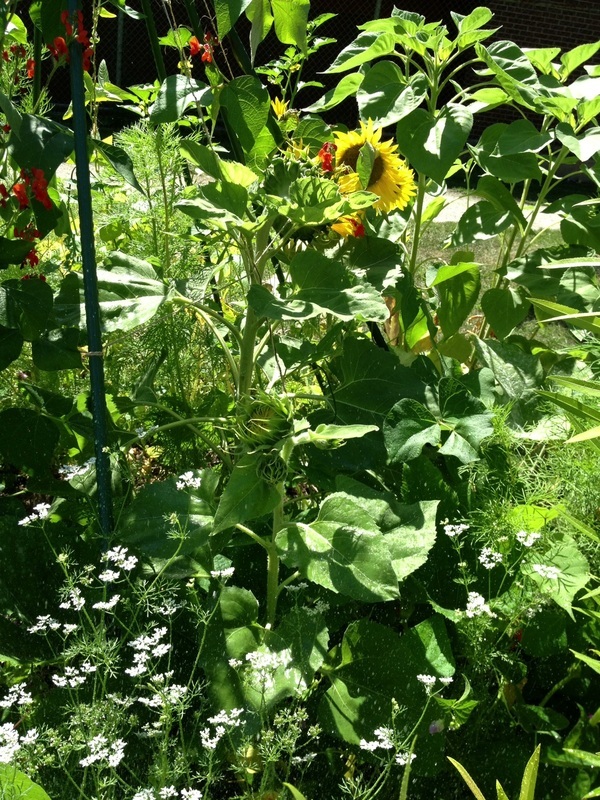 Our garden is thriving through the summer as the "Garden Guardians" water, prune, pick and enjoy all that our garden has to offer. 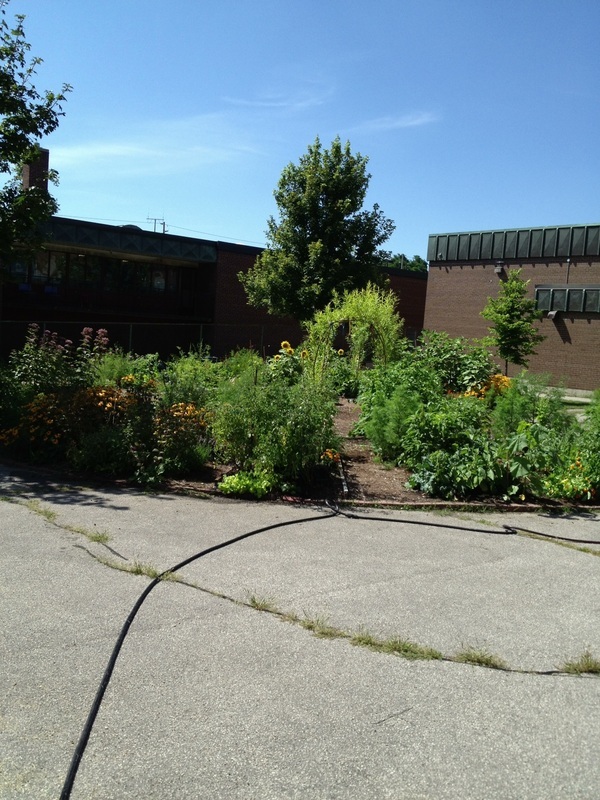 We're looking forward to seeing the student's reaction to this bountiful creation!